Google sent an email to AdWords customers who are using both call and location extensions. 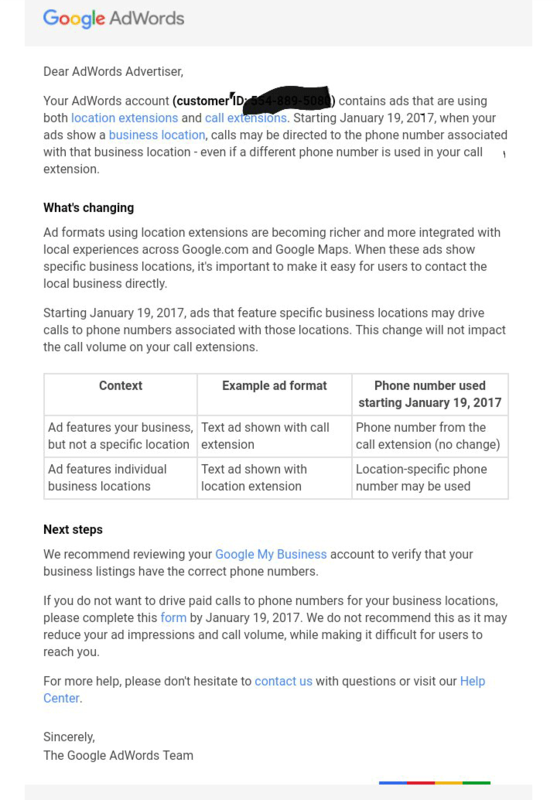 If they do, nothing will change with the call extensions, but Google may additionally show a location-specific phone number on ads that have location extensions. This change is happening on January 19th. Here is a copy of that email from Rachel King on Twitter. You can click to enlarge the image.